Robert Silva of About.com reviewed the Paradigm SE 1 Bookshelf Home Theater System and he thinks it will satisfy your desire for both style and sound! 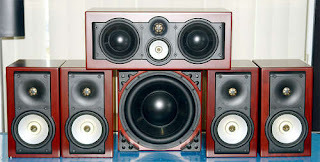 "...balancing style, sound quality and price is not easy when choosing a home theater speaker package. The Paradigm SE Series Bookshelf Home Theater Speaker System definitely satisfies in the style and sound quality department"
To read Robert Silva's full review on About.com click here!